A Texas native, Dr. Schroder traveled the United States with his Air Force family before settling in San Antonio. He graduated from Central Catholic High School and received his undergraduate degree from St. Mary’s University where he played collegiate basketball. He continued his education at the University of Texas (UT) Health San Antonio School of Dentistry, graduating in 1982 . 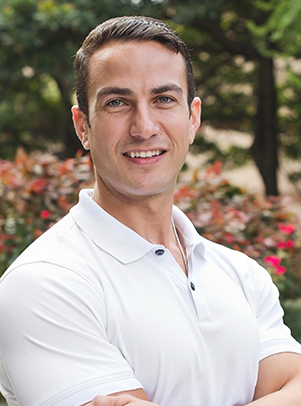 After obtaining his DDS degree, Dr. Schroder completed a general practice residency at the Audie Murphy Veterans Administration Hospital and received advanced training in anesthesia, endodontics, oral surgery, periodontics, and prosthodontics. 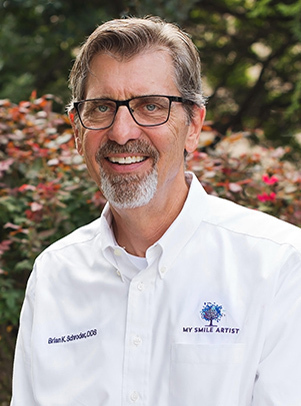 For 12 years he served as assistant professor in the Postdoctoral General Practice Program at the UT School of Dentistry in San Antonio while developing his private practice, which has been serving the San Antonio community for over 35 years. 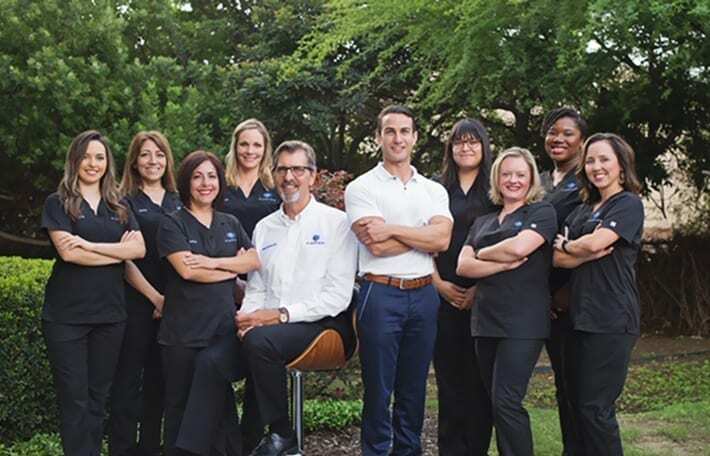 Dr. Schroder provides comprehensive care, including restorative and cosmetic dentistry, conscious sedation, aesthetics, dental implants, and treatment of obstructive sleep apnea. American Academy of Restorative Dentistry – In February 2008 Dr. Schroder was elected into membership in the Academy, which is dedicated to the advancement of the art and science of dentistry. Election is bestowed on dentists whose contributions to dentistry are recognized as exemplary. In early 2009 Dr. Schroder introduced into his practice the first chairside oral scanner in the southern United States. This digital scanner eliminates the need for impression material for fabrication of crowns and bridges. His success with this cutting-edge technology has led to an emerging lecturing and teaching career with presentations to dental groups across the U.S. and internationally. Texas Monthly magazine conducts an annual statewide survey of nearly 10,000 dental professionals to pose the question, “If you or a loved one needed dental care, which dentist would you choose?” Each year since the inception of the survey in 2004, Dr. Schroder has been selected by his peers as one of a few San Antonio dentists to earn the designation, “Super Dentists in General Practice.” After having been voted a Super Dentist for ten consecutive years, Dr. Schroder was named to the Super Dentist Hall of Fame. Dr. Schroder and his wife, Evelyn have three incredible children. His daughter, Adrienne, and sons Brandon and Clayton are all married and have started their families. They have seven awesome grandchildren and number eight is on the way! Fortunately, they all reside in Texas! “I received amazing restorative work from Dr. Schroder, and I now have a beautiful smile that looks totally natural. The treatment and the outcome exceeded my expectations, and the staff is very kind and helpful.” – Annette L.